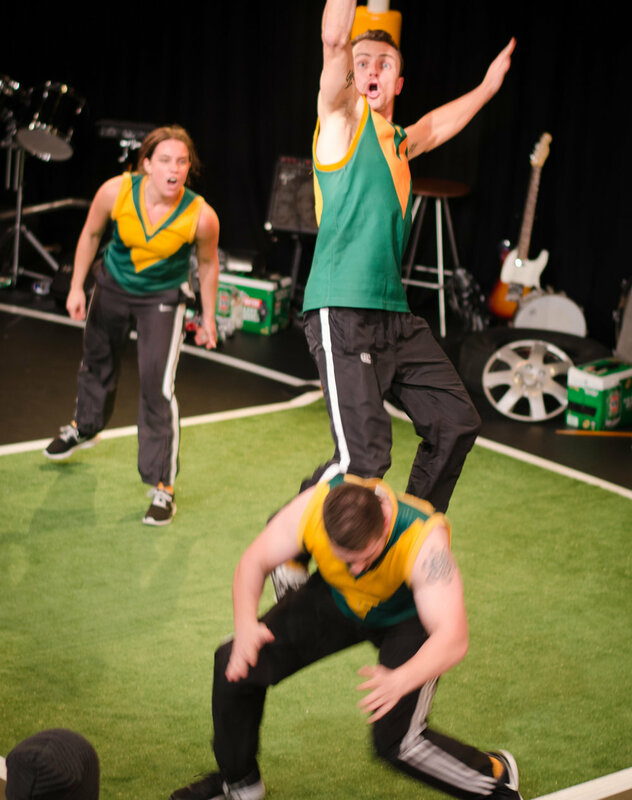 Created by Stefo Nantsou through extensive drama workshops in a number of regional and remote high schools in 2003, The Forwards is a tragic-comedy about friendship, alcohol-fuelled sporting culture and small town rivalries. It was published by Playlab in 2009. The Forwards is directed by Zeal Theatre's artistic director Stefo Nantsou and stars Sam Foster, Hayden Jones and Ellen Bailey. Three actors take the audience through a whirlwind of emotions, as the show follows the story of a small town called Pintoon where nothing ever happens…. except the footy! 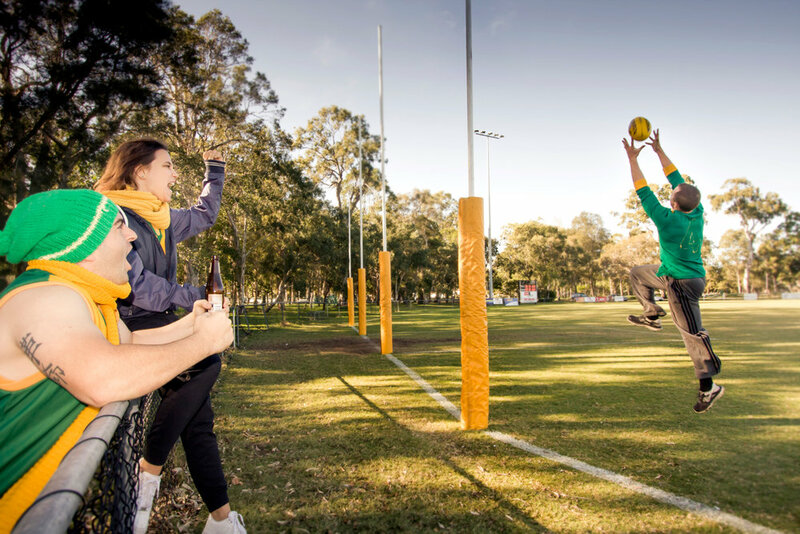 The town is buzzing as the 'Pintoon Parrots' finally make it to the Grand Final. Tensions boil over in the build up to the big game, leading to some devastating repercussions for the whole town. Each actor plays a number of characters from the town including the 3 star “forwards”, Hoges, Tractor and Gary Rabbit. The story is told through the eyes of Julie Carter, who is Rabbit’s girlfriend, with both roles being played by the same actress (Ellen Bailey). A live musical score, performed by onstage musicians along with the 3 actors, complements the high-octane physical action. The Forwards is a superb example of Zeal’s signature style of theatre, utilizing physical theatre, live music and multiple characters. 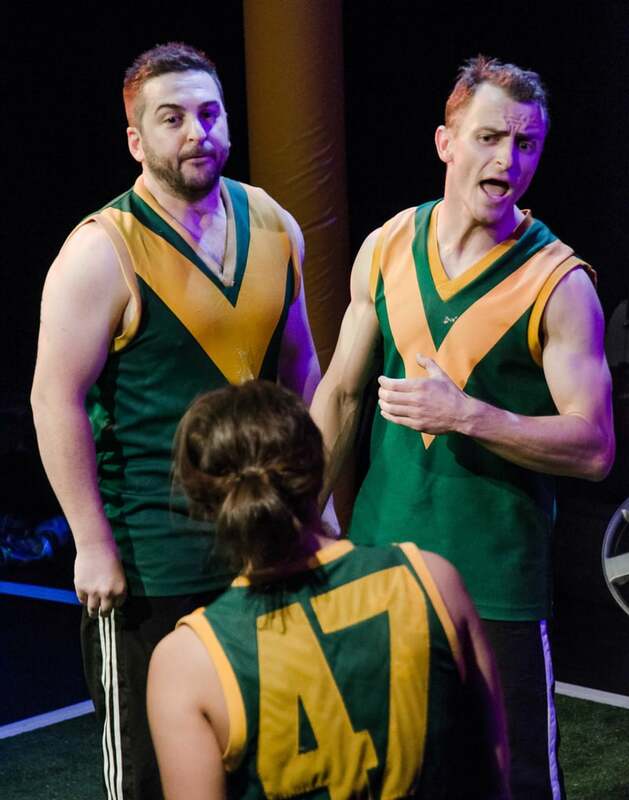 A season of The Forwards was produced by Shock Therapy Production and presented at The Arts Centre Gold Coast in July 2015. After this season a schools touring version of the show toured to several schools throughout SE Qld. The Forwards had a sucessful season at Brisbane Powerhouse in 2017. Written and Directed by: STEFO NANTSOU. Starring: SAM FOSTER , HAYDEN JONES AND ELLEN BAILEY. Please contact us for more information.